Berlin XI – where next? When you plan to meet up with old mates after work, there is alway the tendency to postphone it or to squeeze in an hour before you rush on to other obligations. Having two days together when people fly in and don’t have other committments is ideal. So where do we see each other next? Erlend lives in Switzerland, and there is a brewpub in his town. Vienna is also a spendid city to ignore lots of historial and cultural heritage while zigzaging between brewpubs. And there is always Prague. 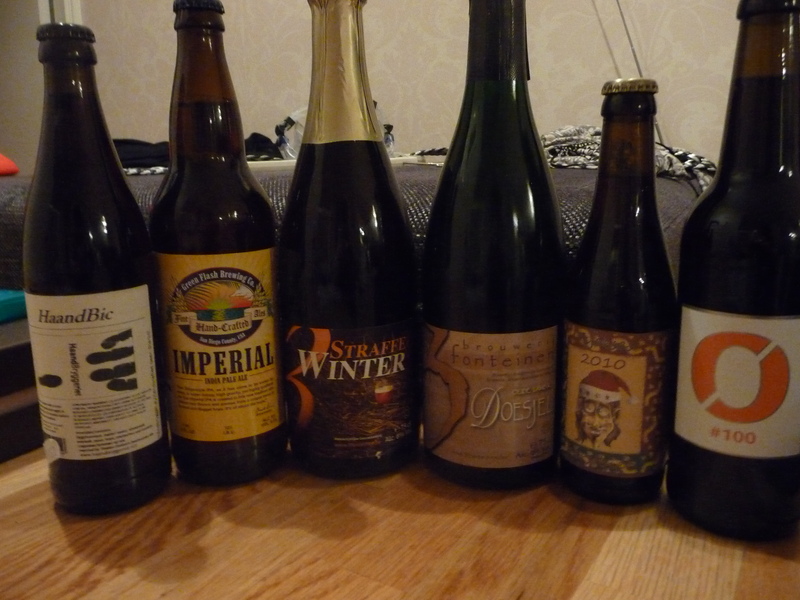 I went to the Vinmonopolet store in Vika, Oslo, yesterday. I did not expect much – the beer range has been rather bad since Christmas, but I was hoping to pick up a few bottles of Nøgne Ø #100. I walked out with quite a catch. Some of them were rather expensive, but…..
A whirlwind tour of Berlin micro breweries does, perhaps, not give them justice. But there are some observations to be made, and a blogger does not necessarily have to have empirical data at the core of his arguments. First some words on quality. Places like Marcus Bräu, Brauhaus Mitte and Georgenbräu do not have much of a reputation when it comes to flavour and quality. And they do not seem to bother. Both are smack in the middle of large crowds of tourists for much of the year. There are no incentives to improve. But someone, perhaps colleagues in the brewing industry, should tell them that they should implement quality systems to make sure their beers are all right. German industrial beers are most often boring, but the technical aspects of the production are impeccable, turning out a consistent product. Then on the beer range and number of beers available. It should not be difficult to have a fair range of beers. Sure, most of the will want a Dunkel, a Helles and a Weizen. It they are done all right, the market would probably ask for these core products. But even these three offer options. If you have a dark beer that has more malt, grain and sweetness, your pils could be more liberally hopped, both for depth of aroma and for crisp dryness in the finish. Beyond the three core beers, there are dozens of beer types to choose from. Adding a Zwickl is not particularly interesting – to be honest is is usually just an unfiltered Helles. No, there should be something beyond the 4.7% lagers – a Porter, an IPA, a Bock or a smoked beer. Time to think outside the straitjacket of the Reinheitsgebot. Maybe the time is ripe to invite som guest brewers from abroad? Some micros would like to have a fairly stable range of beers, others would prefer to rotate. I actually prefer those who keep a rotating schedule. It may mean that not all beers are outstanding – but on the other hand the brewers do not settle into a routine where all innovation dwindles away. 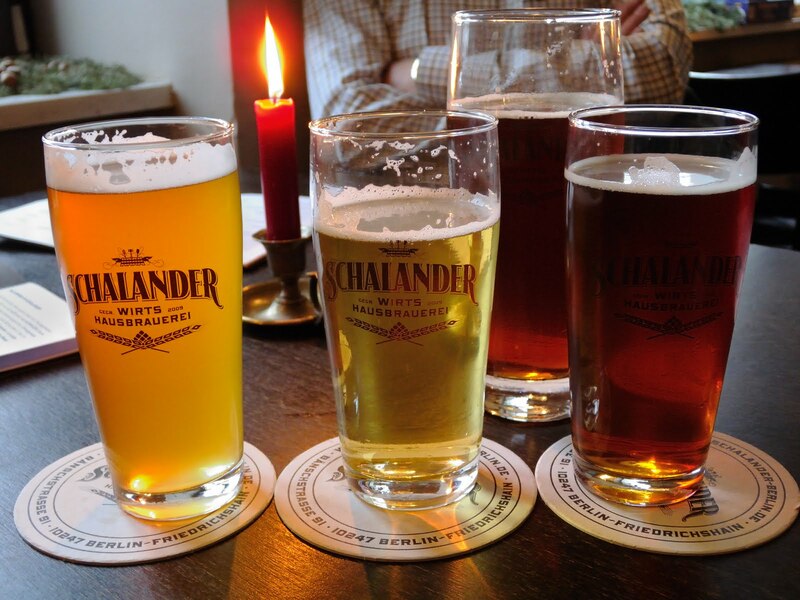 There are a few brewpubs in Berlin I have visited on previous occasions which were not covered this time. 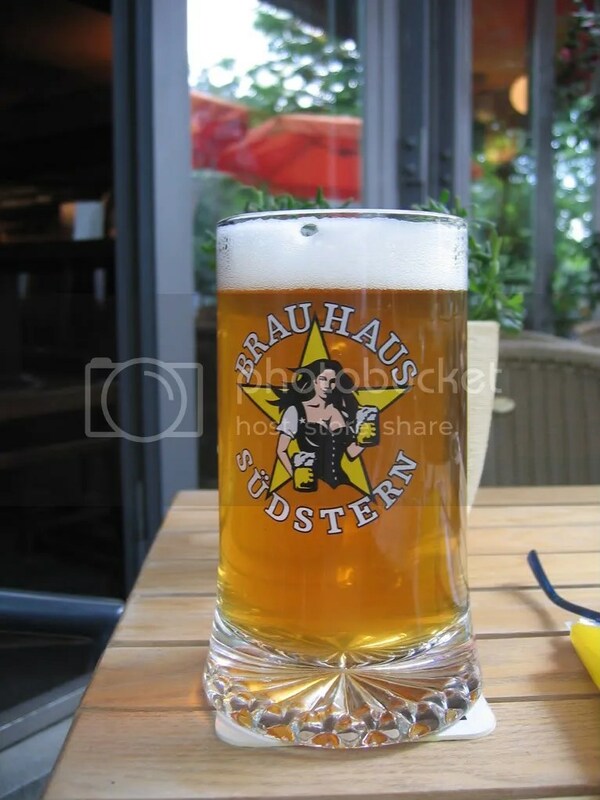 Südstern in the Krauzberg area has a policy of supplementing their own brews with guest beers, which makes sense. 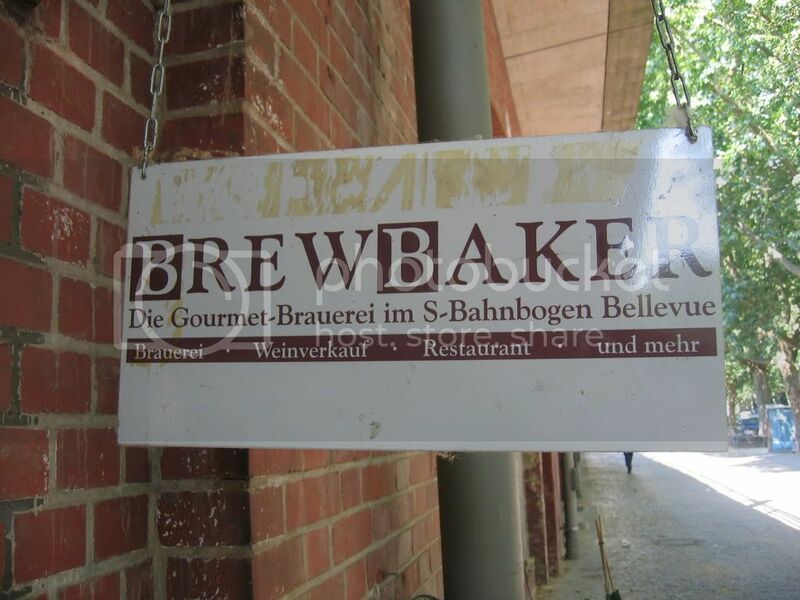 Then there is the sad story of Brewbaker, which was located under the railway arches on the Western edge of the Tiergarten. The owners of the railway, Deutche Bahn, told them to pack up and go, so they closed just days before our visit to Berlin. Let’s hope they start up in a new location. But consider going to Berlin. It is still cheap, Air Berlin has discount tickets from most corners of Europe. While the locals on occasion are a bit on the Prussian side, that also means that everything is well organised and easy to sort out. It’s not like part of Italy where you spend a long time cracking the code. And it is your choice – either go during the winter when the days are short, the rain is drizzling and you have the sights and the pubs more or less to yourself. 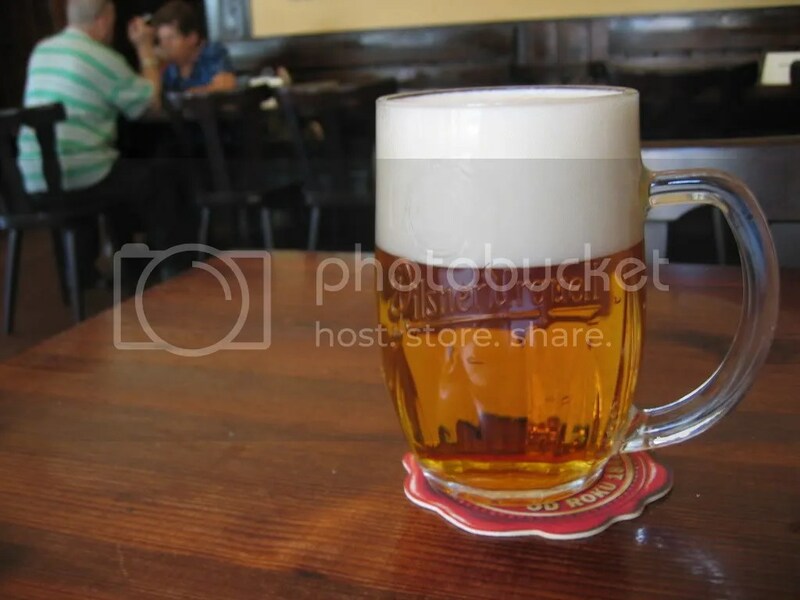 Or enjoy the beers on sunny terraces and sidewalks during the summer – but be prepared to face the crowds. The Irish Times had an article recently taking as its starting point the feature in the Christmas edition of the Economist on the death of the British pub. 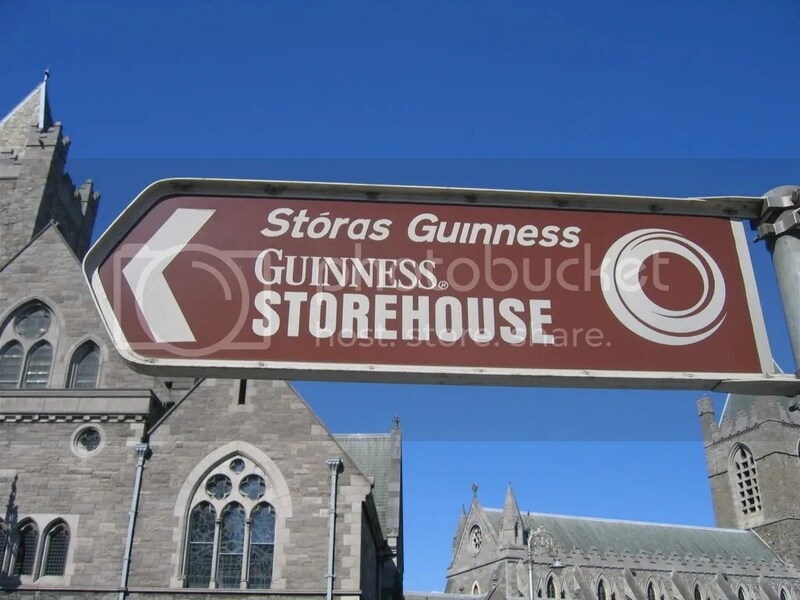 The Irish pub industry is facing similar challenges, you’ll recognize the complaints about limiting drinking and driving and the horrible supermarkets selling beer below cost and leading the country and our way of life into ruin. There is also a naive belief that someone should do something about the situation. Being a somewhat reluctant protestant, I have problems seeing this belief in divine intervention as a viable strategy. But what do I know? I really don’t have time 7 February. I have a family that needs me, too. And it’s only five minutes away from where I work. 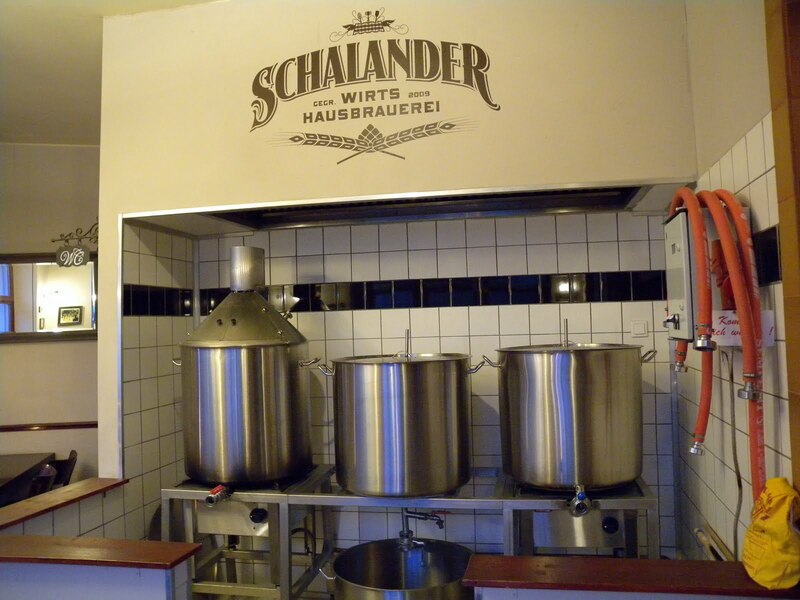 Berlin IX – best brewpub in Berlin? The contrasts between East and West are still very evident. Or, more correctly, the contrasts between the manicured center of town with all the landmarks and museums and the residential areas where people work, play and live their lives. Friedrichshain is ten minutes by taxi or U-bahn from Mitte, but it seems far away. Some of it run down and shabby, sure, but at the same time you feel a relief after all the marble, steel and glass. A note for tickers – some of the small stores here with signs for Lebensmittel or groceries seemed to have a fine range of beers. I did not have any time to investigate. The small streets resemble a labyrinth, but with the aid of both a map and a phone with GPS, we found our way to Hops & Barley just as the doors were opened. Many other bars in Berlin open for lunch, but this on does not open until 17.00 – useful to know. 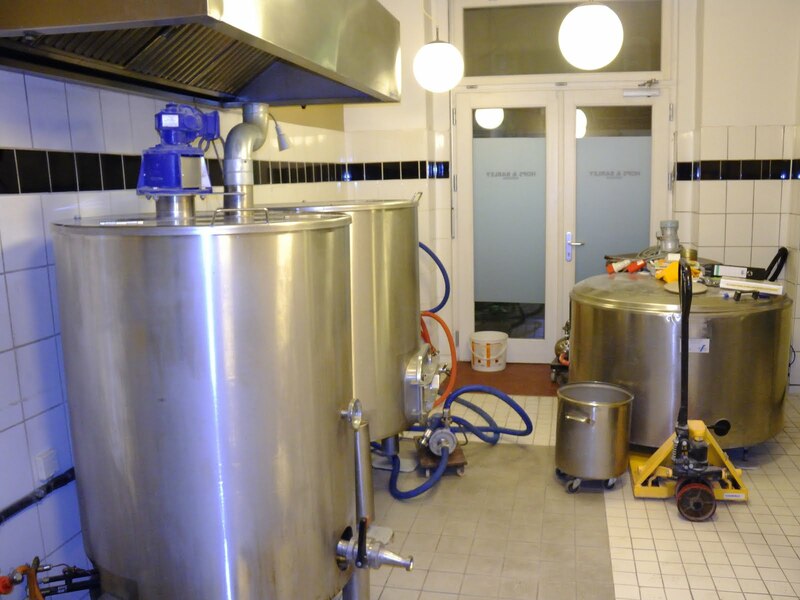 The brewpub is located in an old butcher’s shop, and the brewery has a capacity of 470 liters per batch. Don’t be fooled by the small equipment in the front room, this is used for brewing courses (and probably for test batches?). This is also a new place, it opened three years ago. Quite similar to an English local, laid back atmosphere, including a resident dog. Johnny Cash in the background, friendly conversations. Not any extensive food menu, but some hot snacks, including sausages, meaning you don’t have to interrupt a serious drinking session to go out for food.. 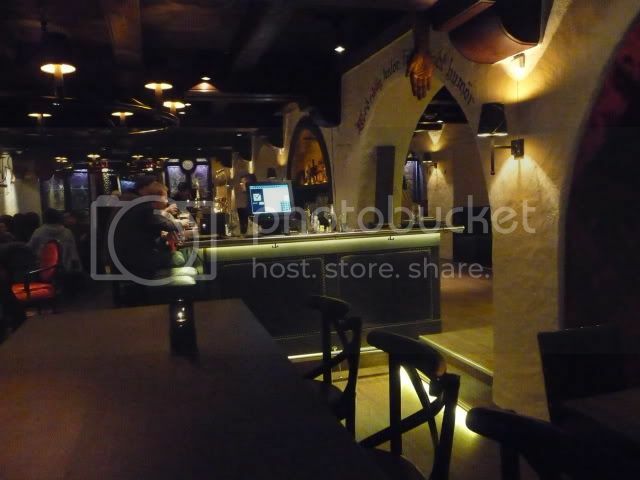 There is even an apartment sleeping six persons above the bar with very decent rates. The beers? The best of the weekend. There are three regulars. No points for guessing. A wheat beer, a light and a dark. In addition there is a beer of the week, a constantly changing offer. When we were there it was a Vienna lager, perhaps not the most exiting among beer styles, but it was a very decent brew. While the range was fairly standard, their Dunkel was the best beer we encountered in Berlin. Deep red. Liquorice and smoke, but in just the right subtle amounts. More dry than sweet. Cocoa and cereals. This was a beer one could happily sip the whole evening. But we did not have the whole evening. We had various airports to go to. Reluctantly we asked them to call us a taxi. But this is the one spot I’m sure I’ll return to. The former secret police – Stasi – headquarters in East Berlin covers a sizeable area. Some of it seems to be used for health services, some buildings are covered in scaffolding, but if you look closely, you find that one of the houses contains the temporary exhibition of the Stasi museum. This grim part of fairly recent German and European history certainly deserves a museum, but the displays fit well with the furniture from the Stasi offices – there is a strong feeling of 1970 about it. By that I mean the way museums were set up in 1970 – documents, photos and physical objects in glass display cases. The Checkpoint Charlie museum we visited the day before was similar – stuck in a time warp. I was there in 1987, and it was just the same. Time for the German authorities to consider how they present their recent history, particularly as there are some important messages to be taught to new generations of Germans. Enough about the DDR, we found ourselves on the main boulevard of East Berlin. What next? A brewpub within walking distance, of course. 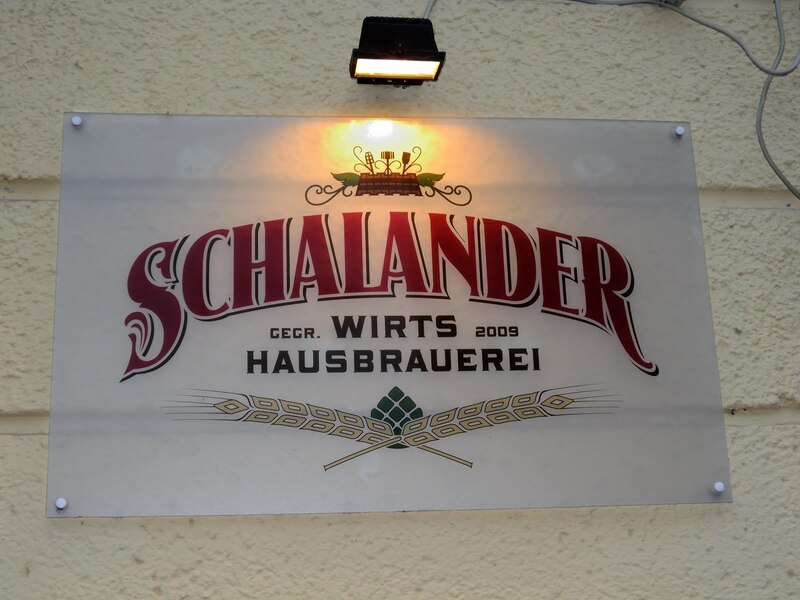 Tucked away in a residential area, the Schalander Wirtshausbrauerei is a rather modest place. 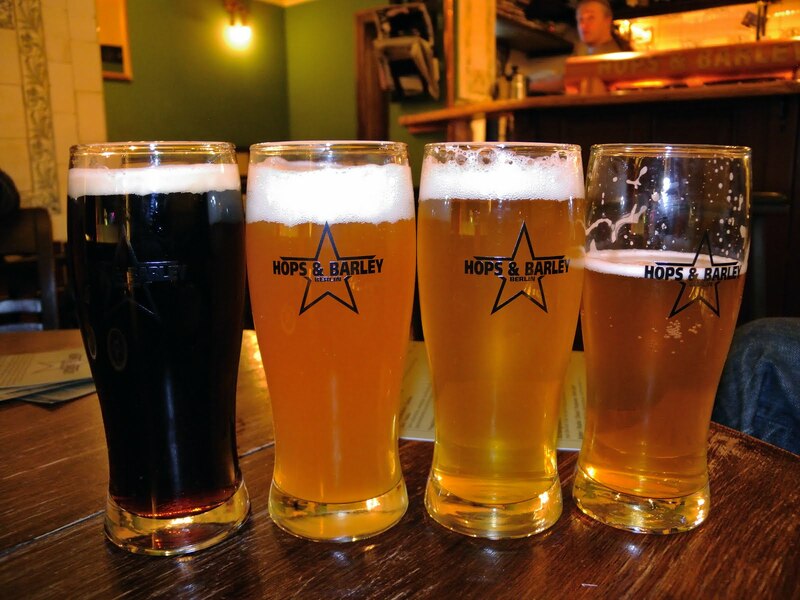 Three regular house beers plus the occasional seasonal beer, a short menu plus the dish of the day on a blackboard. The place looks rather small, but there is a smoking area at the back we did not investigate further. A new place, this, established 2009, according to the sign by the door, but the interior is rather timeless, down to the cuckoo clock on the wall. We had started the day with a substantial breakfast, but the menu offered Alsatian Flammekuche pies, so we ordered two to share. One was the classic with bacon and onions, the other with blue cheese, spinach and walnuts. Both were very nice. 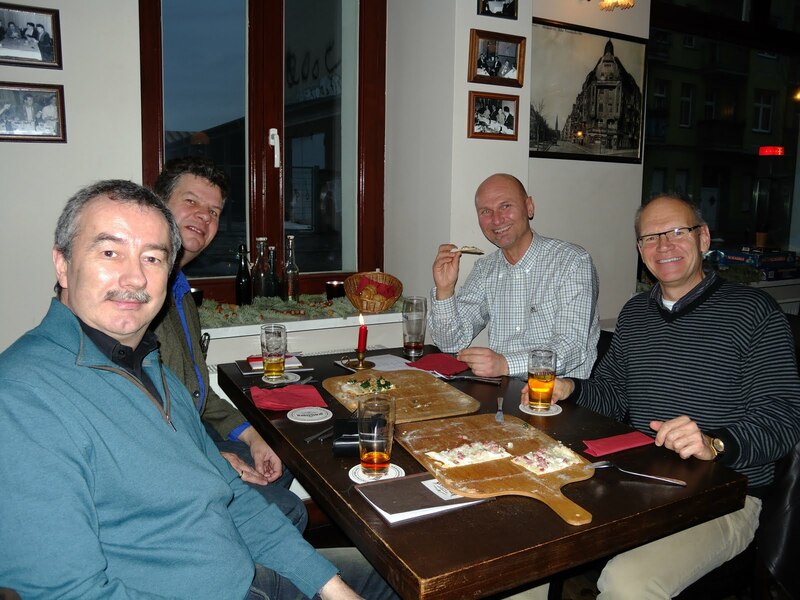 The beer list was very similar to our other stops – a Weizen, a Helles and a Dunkel. The Weizen had the soft mouth feel of wheat malt, a hint of apricots and some lemon in the aftertaste. The pils was a good version of the style, crisp, light and with a generous dose of dry hops. The Dunkel, however, was the highlight of the weekend, at least so far. A glowing amber beer. Carmale, prunes. Pleasant sourness and a dry finish. Well hopped, well-balanced, reminded me of an Altbier. The pretty waitress spoke excellent English, so we did not get to practice our German at this stop. She recommended another brewpub in the same area and pointed it out for us on the map. We really didn’t have any choice.